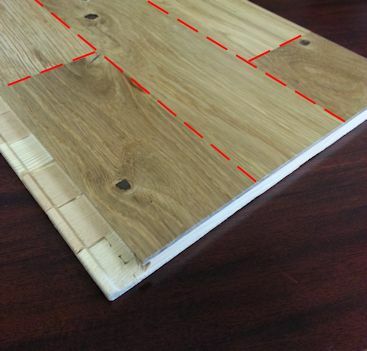 This entry was posted on Monday, August 12th, 2013 at 2:19 pm	and is filed under Engineered Wood Flooring, Floating Wood Floors. You can follow any responses to this entry through the RSS 2.0 feed. You can leave a response, or trackback from your own site. Thanks so much for explaining the 1-2-3 longstrip classification. We are currently researching flooring for our home in Austin and are very interested in the Kahrs products line. This was a very helpful post-thanks again! Thank you for a very helpful information … I am doing research on engineered hardwood floors … is our next project. I am looking for a click and lock hard wood flooring. 230 sq. ft. I am looking to use 5/8 click flooring made in the us, with a solid wood or plywood base. Is something like that in your line? With these specs, your best option would be a Kahrs product. However, Kahrs is a Swedish company with their product being manufactured in Europe. Kahrs really is top of the line when it comes to click locking floors. Thanks, I really try and buy American but avoiding Chinese is more of an imperative. Things to ponder, thanks for your quick response, and it does look like Kahrs is the best. What happens at the end of the longstrip plank? Wouldn’t you have three strips ending in one line? Yes, on a 3-strip product, once the plank ends, all three strips would end in the same spot. I notice that you are a fan of Kahrs flooring, but this weekend I read some scathing reviews of their products particularly their customer service after a complaint was filed. I realize that sometimes reviews can be slanted too much one way or the other,and I am impressed with the description of their products. We are interested primarily in a Click-Loc flooring as we will be laying the new floor over existing wood and tile. In your opinion would you choose Kahrs over Harris Wood? We’ve been selling Kahrs now for over 15 years and we’ve never had any quality complaints about the Kahrs brand. They are a Swedish company, but do have U.S. offices here. Their milling standards are pretty high, and we would recommend the Kahrs over a company like Harris Wood if you’re looking for a click locking product. While Harris Wood is a great company, Kahrs only does click lock flooring and they are known for their quality click lock. They are constant with their R&D as well, continuously putting the most up to date technology into their flooring. I would take the review you read with a grain of salt. Chances are, if the consumer is having trouble with the floor, it’s probably due to incorrect installation (which then, is not covered by the Kahrs warranty). It’s important to install Kahrs flooring according to their installation instructions (found in every 4th carton of flooring as well as on their site.). 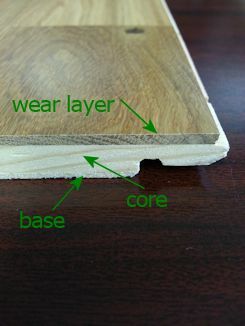 Things like improper expansion gaps or underlay can cause problems with any sort of engineered floor. Thank you for your feedback – it is comforting to know that there is someone out there like you who is an expert in the field and more importantly is willing to share their knowledge. By the way, your price on flooring is highly competitive, too! Hi Jeff, We have also run into a number of scathing reviews. One review said that Kahrs was sold within the last couple of years. Have you heard about or run into anything to do with the companies standards changing or quality going down? We haven’t had any complaints about the quality of Kahrs flooring recently. I know most of their products are made in Europe but some of their Avanti line is made in China. They are currently moving production of this line to Poland, but it might take some time to transition completely. Even so, the Avanti line from Kahrs is very popular. Other brands you could check out which are similar are Boen and Northern Lights.